A quick update on my nails of the day! So, @followthatway on Instagram has been posting the most amazing vintage-y floral patterns on her nails lately and when I was thinking about what I could do for my mani all I could think about were her roses!! So I did a rose 'polka dot' style pattern as an accent, and even though it looked better in my head, it's still rockin'!! 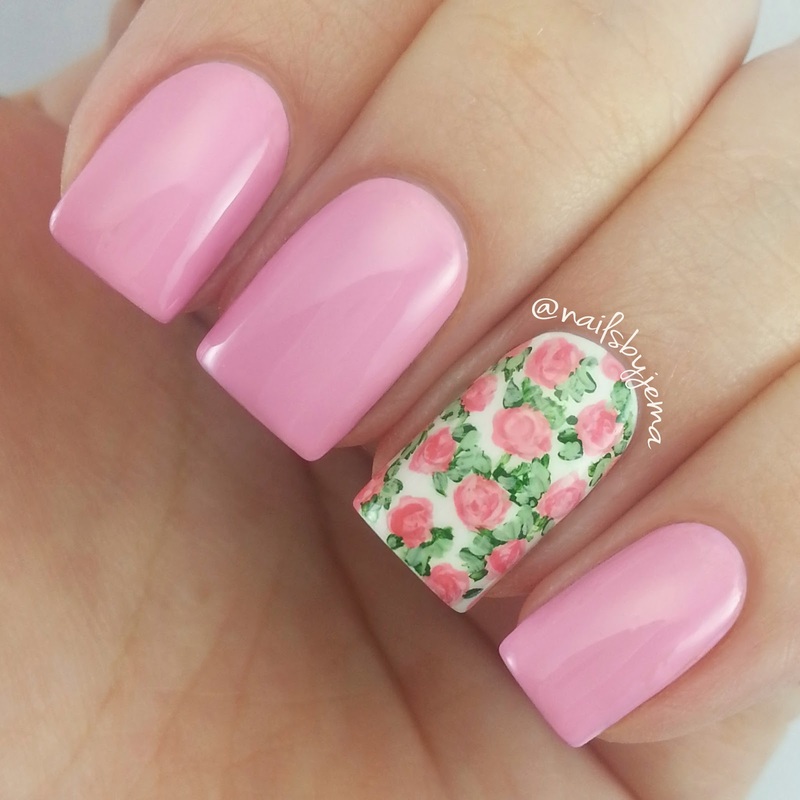 She is the QUEEN of pretty floral manis. The pink is three coats of OPI 'Pink Friday' and the floral accent is a base of OPI 'Alpine Snow' with acrylic paint used to draw in the flowers. It dries faster, it doesn't smudge with top coat and is so easy to blend and use. I just used cheap brushes from eBay that had been trimmed to my liking. It's winter here in Australia, but that doesn't mean I can't have spring on my nails!! Go follow @followthatway on Instagram. You won't be short of inspiration!! Shine Bright Like A Diamond Mani..